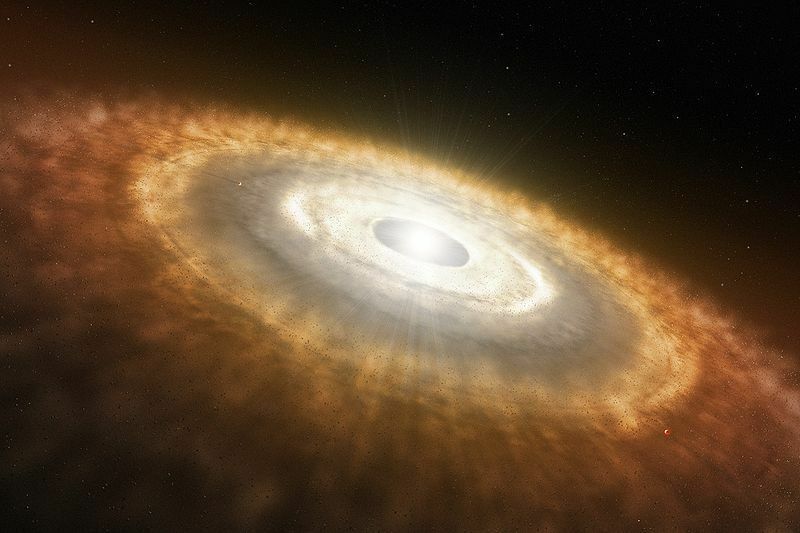 The formation and evolution of protoplanetary systems, the breeding grounds of planet formation, is a fascinating complex dynamical problem that involves many orders of magnitudes. The formation is closely related to the formation of the host star itself. Cool molecular clouds collapse and fragment into smaller substructures which are the seeds for subsequent star formation. Angular momentum conservation in the forming clumps forces the infalling matter into a disc-like structure. Advancements in observation led in the mid-90s to the direct imaging of nearby star forming regions which opened a new flourishing field in astronomy. Since then a big amount of observations of protoplanetary discs across the electromagnetic range has been obtained and interpreted, both space-based (ISO, Spitzer and Herschel) and in the ground (VLT, VLT-I, Subaru, Keck). In particular, the proposed PLATO mission for the M3 launch opportunity mission will be crucial for our understanding of planetary systems. PLATO will have an emphasis on the properties of terrestrial planets in the habitable zone around solar-like stars. Protoplanetary discs masses cover a range from 0.001 to 0.1 solar masses, in accordance with mass estimates deduced from the minimum mass solar nebula. Since the disc lifetime can not be measured directly, it is derived indirectly from the age of young, naked (i. e. discless) stars which sets an upper limit. Pre-main sequence evolutionary tracks are used to gauge the stellar ages, providing lifetimes of a few million years. The subsequent evolution of the disc proceeds in several stages. The further growth of planetesimals proceeds through mutual collisions, where the initial phase involves a large number of particles and is well described by a coagulation equation. The initial growth is quite democratic. All planetesimals grow roughly at the same rate and the maximum of the size distribution is shifted gently towards larger sizes. As soon as gravitational focusing and dynamical friction become important, the growth mode changes to a qualitatively different mechanism. Efficient gravitational focusing leads to a growth timescale that decreases with mass. Hence larger bodies grow faster than the smaller planetesimals, a trend that is further supported by energy equipartition due to planetesimal–planetesimal encounters. This dynamical friction keeps the largest bodies on nearly circular orbit, thus the relative velocities are small and gravitational focusing remains efficient. Artist’s impression of a baby star still surrounded by a protoplanetary disc in which planets are forming. Using ESO’s very successful HARPS spectrograph, a team of astronomers has found that Sun-like stars which host planets have destroyed their lithium much more efficiently than planet-free stars. This finding does not only shed light on the low levels of this chemical element in the Sun, solving a long-standing mystery, but also provides astronomers with a very efficient way to pick out the stars most likely to host planets. It is not clear what causes the lithium to be destroyed. The general idea is that the planets or the presence of the protoplanetary disc disturb the interior of the star, bringing the lithium deeper down into the star than usual, into regions where the temperature is so hot that it is destroyed. Smaller planetesimals are stirred up into eccentricity orbits, which slows down their growth rate compared to the largest bodies. This accelerated growth, denoted as runaway growth of planetesimals The term run-away growth stresses that the growth timescale of a particle decreases with mass, hence the largest body “runs away” to the high mass end of the distribution. As runaway proceeds, the system becomes more and more dominated by few big bodies – the protoplanets. Due to the dominance of few, very large bodies one can not use statistical methods anymore to simulate the problem. In our group we use a new hybrid algorithm that combines a Fokker- Planck approach with the advantages of a pure direct-summation N−body scheme, with a very accurate integration of close encounters for the orbital evolution of the larger bodies with a statistical model, envisaged to simulate the very large number of smaller planetesimals in the disc. Direct-summation techniques have been historically developed for the study of dense stellar systems such as open and globular clusters and, within some limits imposed by the number of stars, of galactic nuclei. The number of modifications to adapt direct-summation N−body techniques to planetary dynamics is not undemanding and requires modifications. These include the way close encounters are treated, as well as the selection process for the “neighbour radius” of the particles and the extended Hermite scheme, used for the very first time in our work, as well as the implementation of a central potential, drag forces and the adjustment of the regularisation treatment. For the statistical description of the planetesimal disc we employ a Fokker-Planck approach. We include dynamical friction, high- and low-speed encounters, the role of distant encounters as well as gas and collisional damping and then generalise the model to inhomogenous discs. We then describe the combination of the two techniques to address the whole problem of planetesimal dynamics in a realistic way via a transition mass to integrate the evolution of the particles according to their masses.